Viviscal side effects - is it safe to take? One of the ways that you can promote healthy hair, clear skin, and strong nails are with vitamins, which happen to be pretty popular. The best nail and hair vitamins are fairly inexpensive and are simple to add to your diet. Warning – do not take if you’re pregnant of breastfeeding! Before you even read about the side effects, do not take it if you’re pregnant or breastfeeding. The product contains iron and if too much iron is passed on to a very young baby, it can be harmful. If you’re pregnant and still want to do something for your hair, you should look into hair oils and shampoos. For hair oils, check out Jamaican Black Castor Oil which I’ve reviewed here. For shampoo try Art Naturals Organic Argan Oil Hair Loss Shampoo which I’ve reviewed here. To save you reading the whole article, in a nutshell, there are no major side effects of the product. The way to minimize any potential side effects is to take it with your meal, then there should be no issues. It’s best not to take it on an empty stomach. Other than that, happy hair growing. If you want you can continue reading! Skeletal issues – These can come about it you take too much Vitamin C. If you feel any joint stiffness or bone pain then lower your dosage. For the vast majority of people, you’d have to take way over the recommended dose for this to be an issue. If you have a fish or shell fish allergy, do not take the product. The main component of the vitamin is AminoMar which is a marine protein complex. Before I get into greater detail about the side effects, you can SAVE 10% AT VIVISCAL at the moment – valid November 2018. The best Viviscal coupon available at the moment is Save 10% on your first order. Use code Ls2aprp8 at viviscal.com. Even though all of the benefits are documented, there are still people out there like me who are worried about any potential side effects. There are plenty of vitamin blends that have dosages that are way past the daily dosage for recommended consumption. 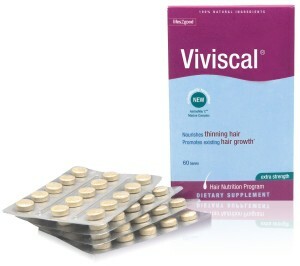 Viviscal is one of the most effective hair growth vitamins out there (check out my full review of Viviscal here), but should you be worried about any of the side effects that it has? Below are some of the potential side effects for Viviscal and how you can avoid them. Vitamin C is found in Viviscal because it helps to strengthen soft tissue and skin. But, according to research, consuming too much Vitamin A can slow down your bone rebuilding, increase bone loss as well as cause a risk for osteoporosis. Vitamin C is found in foods like leafy greens, oranges, and even fish, so you need to be aware of how much Vitamin C that you are taking especially when you add a vitamin into your diet. If you feel any joint stiffness or bone pain then lower your dosage. Iron is great for your hair because it helps form red blood cells that will bring oxygen to your skin. Having pale skin and dark circles are signs of anemia which is caused by not having enough iron in the blood. Stomach irritation is common when you take any supplement that contains iron. This is normal, and often happens when it is taken on an empty stomach. If taking with food doesn’t work for the nausea, talk to your doctor about taking half the dosage. Then once you have built up a tolerance, you can go to a full dose. Viviscal does have side effects, but just like other supplements, you can minimize the risk by taking the recommended dose daily and if something doesn’t feel quite right, speak to your doctor. If you do decide to buy you can buy it cheaply here or you can try a Viviscal promo code. The biggest competitor to Viviscal is Hairfinity which I’ve reviewed here and I’ve also got a Hairfinity vs Viviscal article so you can compare the two biggest names in hair growth vitamins. There are also Hairfinity promo codes you can use so get a bargain! Vitamins should be part of a three pronged approach to hair growth. You have to look after your outside as well as inside. Viviscal can help with the “inside” to keep you healthier but you should also consider hair oils and shampoos for the “outside”. Shampoos such as Art Naturals Organic Argan Oil Hair Loss Shampoo are highly rated. The shampoo is reviewed here. Hair oils can also help. A popular brand that comes at an inexpensive price is Wild Growth Hair Oil. I’ve reviewed it here. Your three pronged approach, for maximum success should include vitamins, hair oils and shampoos.